In cultures throughout the world, the vital link between health and spirituality has always been recognised; many- such as Buddhists- work with this link in their daily lives today. The ancient Vedic texts written by our ancestors contain much of this wisdom which unfortunately has been marginalised or lost to us as a consequence of our descension into the Kali Yuga aka the Wolf Age and with it, a great agenda that seeks to enslave us all. In particular, our folk have suffered as a direct result of embracing an alien creed, which sees the body and spirit as separate, the body often being regarded as little more than a repository of sin. Such an idea is of course abhorrent to our folk; however, it is a pernicious infection within the folk soul and it is important to realise we have all been affected by it in some way simply by virtue of the fact that we find ourselves living in this Age and era. However, through diligent health practices that seek to purify the body, mind and spirit, we can recover the union of self and become properly reunited with our deities and the primal powers that are our ancestors. It is none other than reclaiming Natural Law as our birthright and redressing our lives to harmonise with it; for ultimately, it is only by this harmonisation that we will attain the Odin consciousness that is enlightenment. Before we commence with the description of some of the strongly recommended practices for folk, it is useful to delve a little more into why they are so important. This can be aided by briefly looking at what health is and gleaning some idea of just how it interrelates with the spiritual realm. For the history of medicine that has led to the current mass medicalisation of our folk with toxic drugs is little more than a record of the increasing disobedience to Nature’s Laws. We are suffering from the “dis-ease” of “Heroic Medicine,” which was first practiced in the 18th and 19th centuries. This was a system in which educated professional physicians practiced methods such as blood letting, purging, blistering and the use of toxic medicines e.g.. mercury to treat patients- treatments which stressed already weakened bodies- and were responsible for countless patient deaths. Whilst such obviously crude treatments generally are not practiced in modern medicine, the over zealous use of toxic drugs that can- and do- kill patients in unprecedented amounts (albeit, a well hidden fact!) has become a multi-billion dollar industry. This is an industry (and a major arm in the enforcement upon us of the Great Agenda), which seeks to eradicate all competition by marginalising or making illegal other healing modalities such as traditional herbs whilst simultaneously, seeking to discredit and strip from individuals the right to practice healing arts that do not require medication, no matter how efficacious they might well have proved to be. And quite apart from the power and politics involved, the premise upon which the entire industry is built is fundamentally flawed. In the Cartesian worldview of the body, it is seen as little more than an organic machine in which the mind and emotions are merely a spin-off of the physical processes. So when the system begins to “malfunction,” medication is prescribed as the tool of choice to “fix it.” However, we have been tragically misinformed: medication merely masks the symptoms: it does not resolve the cause- a cause which could have taken effect at any level of being. The first are a result of negative wyrd from past lives and cannot be cured as such. They must be borne out for the allotted duration in accordance with the decrees of the Norns. The second category are caused by the influence of harmful entities. These can be eliminated by various ritual practices. The third category is caused by seasonal factors, improper conduct, accidents, contagious diseases and improper diet. These can be rectified by proper conduct, diet, medicine and treatment and, as the very last resort when all other options have been exhausted, surgery. The fourth category arises from superfluous causes and are minor, generally not requiring medicines. Of course, all these levels of health are a reflection of the fact that our very being inhabits all three worlds (Asgard, Midgarth and Hel) and indeed the entire multiverse simultaneously. But as a consequence of the passing of the Great Ages and the influence of an alien worldview, we have lost our intimacy and awareness of the sources of life that nourish and sustain us from the Hel realms- the sacred primal powers and the Holy Vanir- and so we have fallen sick. In clinging stubbornly to the audacious Cartesian view of the body that would dominate Nature, we misuse the Godforces with which we have been blessed. It is interesting to note that our ancestors understood well the relationship between health and illness: “waes hael” is the heartfelt wish we bestow on a loved one- “Be thou whole.” Hela’s shining plains are the holy source of life, power, inspiration, rest, comfort and regeneration. “Hail” means joy and light- the beautiful light of Hel itself, of health and wholeness. We have to travel through Hel to reach Asgard. And it is within Nature that we find the Hel Realms reflected. A sad fact of life in the great Kali Yuga is that our individual and spiritual needs are largely unmet in any true sense. We live the lives of automatons, slaves to the mechanistic wheel of the Demiurgic forces whose usurious web of corruption manipulates us like puppets on strings. Concrete jungles masquerade as our homes; overcrowded conditions in a so-called multicultural society create primal stress in our body-mind, clock-bound lifestyles, chemtrail poisons being poured on us daily from the skies, HAARP coordinated electromagnetic fields that mask Mother Jorth’s essential Schumann waves that help structure life itself, pesticide-laden food, polluted air and the ravages of an infinite number of combinations of chemical toxins amongst countless other assaults on our body/mind/spirit complex erode us to husks- animated corpses that have lost the beauty and vitality of being. Strange “new” illnesses bring us to our knees: cancer, AIDS, chronic fatigue syndrome, fibromyalgia, candiasis, genetic abnormalities and many other illnesses for which “cures” cannot be found. As cited in “Odinic Mythology,” it is quite literally as if the very life-force and will to live has departed from the cells of the victims- not unlike the conifer plantations that inhabit poisoned wastelands in which the wood is not like wood at all, but more spongy and pulp-like, akin to primal protoplasmic material. The spirits have withdrawn from their being in such inhospitable conditions just as the gods of Nature and race have withdrawn from our cites. For our bodies and spirits are holograms of Nature and as such, the gods and spirits inhabit our entire beings. Yet we feed them with junk- both physical and psychological- then wonder why we are sick: the Old Ones need a Heildom, not a wasteland! Quite literally, we misuse our god-force by polluting our body-mind-spirit and hence, them in the same way. A preference for certain treatment methods which are considered natural (physiotherapy) such as the application of water, light, air, movement, diet etc. (1983: Rothschuh). It is important to note here that much of the modern practice of Naturopathy is no longer Nature Cure. The establishment system of legal right to practice and training plus examination content has forced Naturopaths into adopting an allopathic style approach to patient care that sees the substitution of drugs with expensive supplements- often with regular and expensive high-tech diagnostic testing whilst comparatively little heed is paid to the emotional/spiritual welfare of the patient, which is integral to proper healthcare. Conversely, pure Nature Cure eschews the medical model and properly treats the whole person. 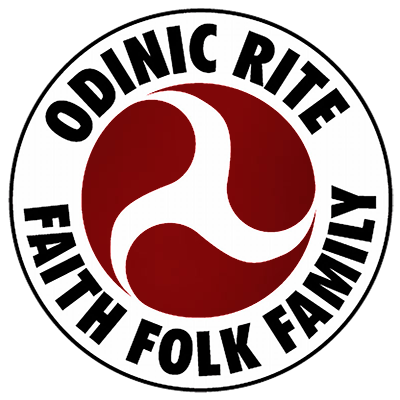 It is the modern expression of our ancient ancestral practices for healthcare and spiritual purification, which all Odinists must seek to practice if they are to maximise their potential for spiritual evolution. For mind, body and spirit are integral to each other and the web of wyrd. Therefore, whichever “locus” is polluted matters not; all will be affected since the body-mind-spirit union is a two way street, where each affects the others simultaneously. The implicate order is enfolded in the explicate and must be brought forth using methods that will restore the fractal of wholeness that is our holiness, our health. There are several components to the Odinic path to healthcare and, whilst most certainly not exhaustive, the following is an introduction to the main health practices that are strongly recommended for all Odinists. The ancient practice amongst our folk of using saunas for physical and spiritual purification has largely been kept alive by the Finns. However, archaeological digs have found bath houses that were also saunas all over the arctic, subarctic and Eurasian continents whilst the Eyrbyggia describes such a Norse bath house- a room dug into the side of a hill in which a window at ground level provides the means of pouring water onto the heated stones inside the building and of course, ventilation. When the Christians banned saunas, much information about the rituals and their use was lost, maintained only by the folklore and practices of the Finns and Russians, some of which have been documented by the likes of Herodotus and the monk Andreas. Saunas were places of transition- a place to commune with the ancestors, give birth, pass on to the next realm, find healing, perform ritual, prophecy and divination as well as being vital places of recuperation after a hard day’s labour in freezing conditions. Thus they were of central social and cultural importance to the folk. Much folklore surrounded the use of a sauna as the steam was held to be the sacred stream that held their ancestor’s souls, their breath being understood as the spirit of life, just as we Odinists attest to this fact about our ancestors. The sanctity and understanding of the sauna as a liminal space of transition is preserved in the traditions of the Finns where every aspect of creating and maintaining the sauna is approached ritualistically. Improved blood circulation: saunas increase and improve the rate of blood circulation and breathing. Weight loss: sauna therapy is similar to mild exercise in that it burns approximately 300 calories per average session. When combined with a healthy diet and moderate exercise, saunas will help with weight loss and fitness. Cleansing: a profuse sauna-induced sweat followed by a shower cleanses your skin far more thoroughly than by showering only. Body relaxation: stress build-up creates tension in the body and manifests as aches and pains. The heat and humidity of the sauna diffuses the pain and relaxes tired muscles. Tense muscles, sore limbs and arthritic conditions all benefit from the heat and humidity of a sauna. Mind relaxation: saunas relax the mind by effectively helping to relieve physical and mental fatigue and stress. Immunity: strengthens the immune system by stimulating the production of white blood cells. At the very least, all Odinists should make use of saunas in the community such as those at health centres and swimming baths. However, it is most desirable and strongly recommended for OR members- whether as individuals, hamas or hearths- to construct their own sauna as in this way, it becomes an important spiritual practice from its conception all the way through to its maintenance and use. For hearth members, it becomes a central locus and heildom for ritual practice whilst simultaneously, bringing essential cohesion to the group. Purification of the body is a fundamental spiritual practice and in itself, is a prayer, communion and blot to the gods and ancestors. Colon hydrotherapy- also known as colonic irrigation- is used to remove non-specific toxins and faeces from the body via the gentle irrigation of the colon. The rationale is that food remaining in the intestines for too long rots and causes autointoxication, which leads to all manner of illnesses. The ancient Egyptians recognised that decomposing food in the intestines created fever and pus, since the decomposed products entered the circulatory system. The Ancient Greeks extended the theory into that of the four humors and doctors in the 18th and 19th centuries promoted the idea as a consequence of studies in microbiology and biochemistry, which supported the hypothesis. However, with the onslaught of the pharmaceutical industry, a drug based approach to problems such as constipation was deemed more appropriate- and much better financially speaking. This led to the decline in use of colon hydrotherapy until more recent decades. However, its practice amongst our folk was certainly popular into our parent’s and grandparent’s times: it was common to see an enema bag hanging on the door of the bathroom door whilst, until recent times, it was standard practice to give wounded soldiers an enema so that their bodies could direct energy to healing (as opposed to elimination) whilst mothers about to give birth were given them to ease the birth process by reducing congestion and the toxic load on the body so that the body was strengthened for the process. eliminating old, toxic, hardened faeces from the intestinal wall, thereby allowing the proper exchange of nutrients between the colon wall and circulatory system, preventing contamination of the blood via putrefying material, medications, parasites etc, and taking the strain off vital organs (which otherwise, are weakened). Toxic build-up weakens the peristaltic action of the colon; clearing the debris and the gentle massaging action of the water and abdominal massage conspire to strengthen and tone the muscles of the colon wall, thereby restoring tone, regularity and health. The colon has reflex points, which are connected to every part of the body. Like reflexology, colon hydrotherapy affects the corresponding areas of the body beneficially. Conversely, laxatives aggravate the problem of constipation by interfering with the colon’s ability to eliminate normally: they irritate and stimulate abnormal contraction of the colon in a bid to expel the offending substances. The oral route of administration is also the least optimal method for evacuation of the colon since very important digestive processes occurring in the stomach and small intestines are interfered with. Laxatives and purgatives also precipitate dehydration and this affects the health and vitality of the individual negatively. Classical Nature Cure practice eschews the use of colonics and any practices which would not be done in nature. However, in today’s world, where toxins in our food, air, and water abound, undesirable vaccines and medications poison us and GM foods literally tamper with our DNA (thus reducing our capacity to evolve), we must do all we can to cleanse our bodies. For we are all suffering from toxic overload, whether the health deficits manifest overtly, covertly, now or later. So more than ever before in times past, colon hydrotherapy should be employed as part of an ongoing health regime because the weakened state of some individuals requires, first and foremost, the freeing of energy bound up by toxins; for ironically in this state, the body is less able to expel the sickness making toxins whilst the individuals may not have the space in life to pursue extended fasts (which is used in traditional Nature Cure). Indeed, if one can afford just one single therapy in a lifetime, I know from personal experience, talking to others and research that irrigating the colon is probably the single most effective health investment there is for recouping one’s health and vitality. Osteopathy is a system and science of healing that uses physical techniques to remove tensions and restrictions in the body in order to encourage structural and physiological harmony. The term ‘Classical’ was coined to express the traditional nature of this holistic approach to osteopathy- and indeed, whole healthcare. It differs from most current osteopathic practice: the techniques, practice, concepts, philosophy, and enormous scope of application make it a far superior and effective treatment. Indeed, it follows in the pioneering tradition of the early osteopaths with the advantages of a century of research and clinical practice behind it.. The term “bloodless surgery” is a very accurate indication of the scope of classical osteopathic practice. Our bodies can be viewed as a temple, in which the bones, muscles and ligaments provide the structure on which all else hangs whilst our entire body is encased in a network of fascia that wraps around it like clingfilm around a piece of meat. Twisted fascias can give rise to muscular, skeletal and ligamentous problems through undesirable compression in much the same way as twisting a piece of clingfilm around the meat would cause. Further, our bones are conductors of vital electromagnetic energies from the earth and cosmos whilst our bodily proportions and the shapes that comprise them are based upon the principles of sacred geometry. In motion, the pelvis forms a figure of eight, which generates vital energies. If our bodily motion is compromised in any way, we cannot receive a clear flow of energy into our beings, Further, restrictions will also physically compromise the circulatory and lymphatic systems, giving rise to diseases of morbidity resulting from congestion caused by an impeded blood and lymph flow. “The combative method fights disease with disease, poison with poison and germs with germs and germ products. In the language of the Good Book. It is Beelzebub against the Devil.” H Lindlahr 1922. Relieving (i.e. suppressing symptoms) is not a solution and often drives disease deeper into the body, so causing chronic illness later.. Nature Cure enables the individual to assess themselves as a complete entity (as opposed to a collection of medical symptoms); and by means of natural methods, effect a solution. The solution usually means lifestyle changes on many levels if health and vitality are ever to be achieved as a normal state. Nutrition: our bodies rely on the foods we feed it, not just for physical sustenance in and of itself, but also for the transference of photons of light energy and sacred geometric forms, upon which our souls are built. Modern foods are often denatured poisons; raw food is live and replete with a synergy of vitalising energies that harmonise our bodies, minds and spirits like an orchestra. A Nature Cure diet is largely vegetarian comprised as much as possible of raw foods. Fasting (as and when the body asks for it e.g. when it has flu, colds etc or the appetite is non-existent) is an essential part of a Nature Cure way of life. Exercise: a programme of daily moderate exercise such as walking, swimming etc is essential. It includes proper breathing practices, skincare, posture, clothing and relaxation. Osteopathic care is given to help the individual correct postural habits that aren’t conducive to good health. Sun, air and light (heliotherapy): without these three elements of Nature, there would be no life. Since the Industrial Revolution, the nature of work means that we are no longer exposed often enough to these factors so essential for our health and- coupled with a sedentary lifestyle and denatured foods- we see more chronic illness and an explosion of illnesses such as cancer, diabetes, heart ailments, chronic fatigue syndrome, fibromyalgia and so forth. Further, the wearing of glasses of any description excludes essential light rays from penetrating the eye and this detrimentally affects many bodily systems; for light is actually a nutrient. Sun, air and light also have numerous psycho-emotional benefits, both obvious and otherwise: consider how much happier folk appear simply when the sun starts to shine after several dreary days. Exposure to these three factors is a central tenet of Nature Cure. Psychology: Nature Cure endeavours to help an individual see where their habits and approaches to life aren’t conducive to good health. Many illnesses have an emotional component to them e.g it has been found that workaholics are prone to migraines and they may well have to address the underlying cause of such behaviour before their migraines cease. However, it cannot be emphasised strongly enough that the noxious attitude of “blame culture” that flows through the New Age movement, some alternative therapies and so much of allopathy, is shunned at all costs. Nature Cure is not about the attainment of a perfect state of health in which dis-ease is never experienced; for such is impossible in this realm. Rather, it is about harmonising the body/mind/spirit complex with the hourly, daily, weekly, monthly and annual cycles- cycles which inherently call for the cleansing and rejuvenating processes of dis-ease so integral to evolution. For death in all its forms is integral- and vital- to life. Just as Odinism is the rightful ancestral religion of our folk and our path to Odinic consciousness (enlightenment), so too are Nature Cure principles (which can also be found in some other traditions such as Vedic medicine), the rightful- and only genuine- path to the restoration of truly deep health and vitality of being. Indeed, the principles of Odinism and those of Nature Cure are intertwined and can often be seen as parallel expressions of the same principles simply expressed in different languages. Together, they bring harmonic resonance of the total being that leads to enlightenment. Our bodies, minds and spirits are the containers for, and expressions of, the sacred primal powers and it is by these means that we become co-creators with our deities. So in this spirit, I will leave some food for thought with a few quotations from pioneers and practitioners of the long overdue Nature Cure revival. “The medical machine in this country is the greatest curse ever visited on America. It is interested in keeping the people sick by undermining their health by vaccination and other medical superstitions and crimes. Eventually the plans of the medical trust will cause widespread damage to the American people if they are not checked. Only nature cure can bring health, happiness and long life.” Benedict Lust 1935. “Naturopathy comes from the heart of Nature through the heart of man to the heart of God. Deopathy would perhaps be a truer name save that Nature is and must be, the starting point for the weary, weak, diseased discouraged, chronic invalid.” Benedict Lust 1903. “The physician must keep in mind that the heart of every sick person is narrow and that every healthy person has an expanded soul. Therefore, the physician must remove emotional experiences that cause shrinking of the soul.” Hoffman 1986.